We have so many reasons why we believe that the bridal market needs more options for modern brides. Not every woman dreams of wearing a dress. There are women who are pants lovers, women who are looking to say something different, and women who's "Been there, done that." Brides should have more options to wear what best represent them and their personality. We love to dress brides who love to look glamours for her special day. We strive on making the life of a modern bride easy by designing timeless bridal pieces that can take her beyond her wedding day. We take pride in each of our handcrafted designs, and quality/fit plays an important role when it comes to designing a style. We think about our brides body and introduce her to new ways she can accentuate it. We handpick fabrics and embellishments to help provide the best unique touch for our brides. Our mission is bringing more bridal options to the market for our modern brides. Hi my name is Daniela Tabois(TAH-BWAH) and welcome to my online bridal shop of handcrafted luxury bridal Jumpsuits and sequin pieces. As you can see I'm all about the glamour life for modern brides. Each piece that you see on my site are handcrafted with love. I believe in creating investment pieces that are made of high quality to last years to come. 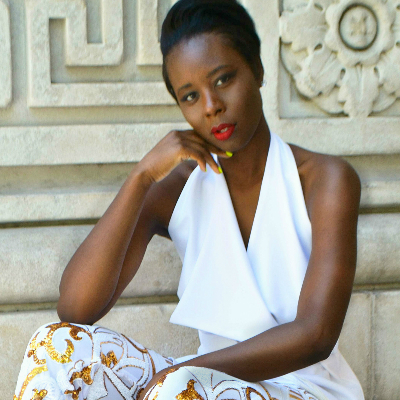 I'm a Brooklyn based Fashion Designer and my interest in fashion started at the age of twelve sketching garments in my notebook. After graduating Wood Tobe Coburn School for Fashion Design, I started my design career by working for several Fashion houses. You are welcome to visit my Linkedin account for more details. In my spare time I mange to teach my craft to my audience of 210,000+ subscribers on YouTube.